A selection of the best theme parks and entertainment resorts for hosting conferences and team-building events. Roll up, roll up for the greatest show on earth, featuring your delegates tackling team-building, riding roller coasters and mixing margaritas at a selection of the best entertainment venues around the world. Big kids will love the wacky team-building challenges on offer at Thorpe Park. Delegates can channel their inner TV star with I’m a Delegate Get Me Out of Here!, where they will be united and tested in the jungle maze through a series of mental and physical challenges. Team-building is thrown out of the window in favour of team survival. And for those with a creative flair, there is also chocolate-making with a twist. Participants will fashion their own sweet rides modelled on elements from attractions in the park. Furthermore, a selection of delegate packages offer free rein over all the rides and attractions in the park, use of the Lake View meeting space and private garden for up to 600 guests, and a dedicated event manager. Located just outside Barcelona, PortAventura combines premium meeting space with two fantastic theme parks. 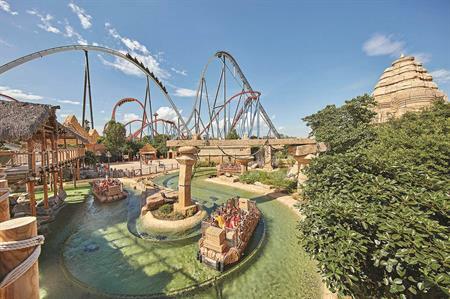 Give between 10 and 3,000 of your delegates a screamer of a day with exclusive hire of PortAventura Park, or take them on a journey through the story of one of the world’s most famous car brands at Ferrari Land. You can also take advantage of the temperate Spanish climate at the on-site waterpark, treat guests to a round of golf, or choose from a range of team-building activities. Other add-ons include 2,000 rooms in five four- and five-star hotels, a full range of restaurant options and unique shows. Get down to business after the fun and games with 18 multifunctional rooms, including: the Alexandria room with capacity for 3,000 people; the Harvard room, a fully-equipped auditorium for 150 people; and the Tarraco room, ideal for board and committee meetings. All the terraces can host gala dinners and open air functions in the sunshine of the Mediterranean. Not just for family holidays by the seaside, Butlins is also a top-notch meetings and events venue. Exclusive hire of all or part of the Skegness, Bognor Regis or Minehead resorts transforms the venue into your own corporate playground. Don the dancing shoes for a day with Britain’s Got Talent champions Diversity, who can be hired exclusively for an all singing, all-dancing team-building experience. Or get the cocktail shakers out for an afternoon of challenging teams to design their own drinks as the perfect wind-down to a long day. The Hotshots venue lets the evening celebrations carry on into the night, with ten-pin bowling, American pool, big screen TVs and a selection of Namco arcade games on free play. There is also an option for tailor-made drinks packages, a DJ or a silent disco. On the island of Sentosa is Singapore’s most spectacular destination resort, Resorts World Sentosa. The 490,000m2 mega-resort is home to southeast Asia’s first and only Universal Studios theme park, as well as one of the world’s largest aquariums – S.E.A. Aquarium – and south-east Asia’s only aquatic park integrated with marine life. With 2,000 rooms spread across six hotels, it also offers the world’s largest animatronics performance, a selection of shows and the country’s largest luxury spa. 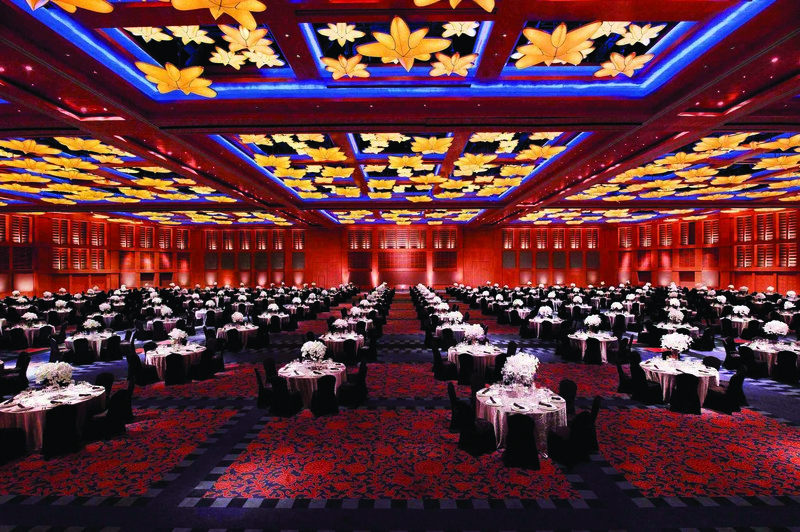 Go ambitious with meeting facilities for up to 12,000 delegates, including Asia’s largest column-free ballroom, which can seat 6,500 guests. 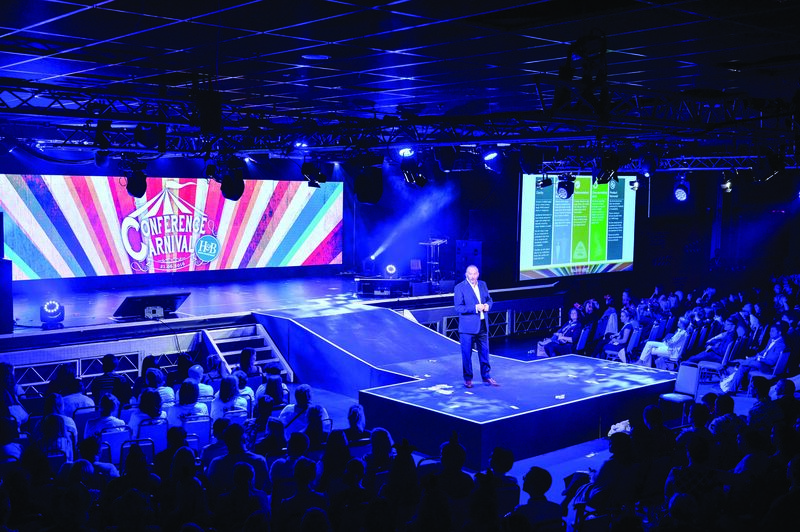 On top of this there are 49 function rooms and more than 20 varied indoor and outdoor events venues to create a show-stopping international super-event.